Catch up on the latest open space news and events. With the upcoming final release of the Open Space Authority’s Coyote Valley Landscape Linkage report, the valley has been top of mind for many conservation organizations. Bringing us a step closer to realizing the report's vision, Peninsula Open Space Trust (POST) has purchased the Ramke property near Coyote Valley Open Space Preserve. Each open space acquisition serves as a stepping stone for conservation in implementing the Linkage vision. 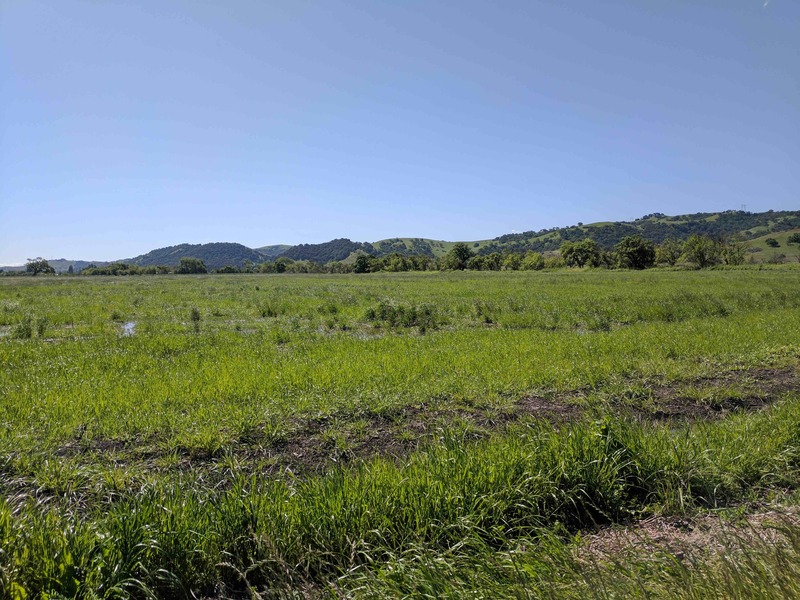 The 63-acre property is located within the Fisher Creek floodplain, an important element of the critical connection between the Santa Cruz Mountains and Diablo Range. The Ramke property purchase provides an opportunity to expand riparian habitat and to restore rare wet meadows, which could provide habitat for numerous endangered and threatened species such as the California tiger salamander. According to a new report, Coyote Valley is one of the nation's most at-risk landscapes, due to the continuing threat of development. The 2017 Landslide Report: Open Season on Open Space was compiled by The Cultural Landscape Foundation, a national nonprofit dedicated to connecting people to places and encouraging stewardship of public lands and culturally significant spaces. 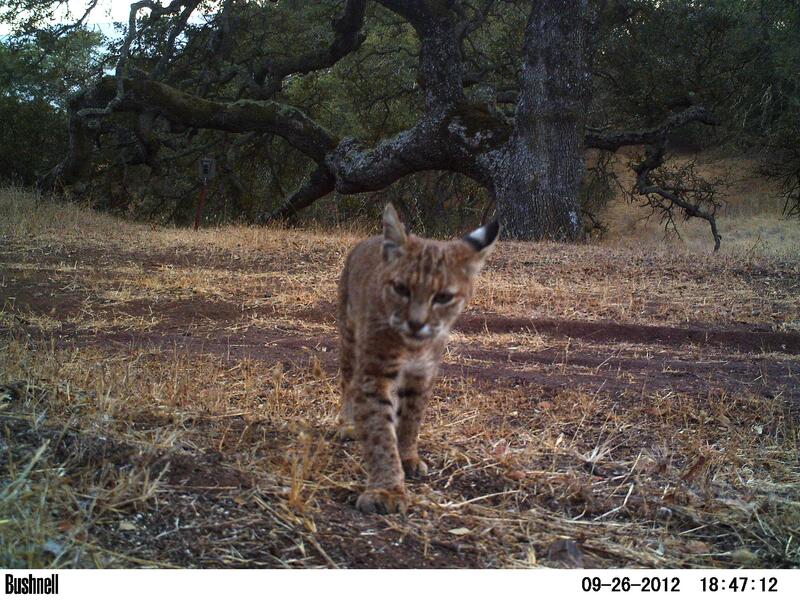 Coyote Valley was one of thirteen different threatened places featured from coast to coast. The report's goal is to draw immediate and lasting attention to threatened landscapes and unique features. Coyote Valley falls under the themes of Monetization of Open Space and Devaluation of Cultural Lifeways. The report references the Authority's Coyote Valley Landscape Linkage twice and encourages readers to sign Greenbelt Alliance's petition to stop sprawl in Coyote Valley. 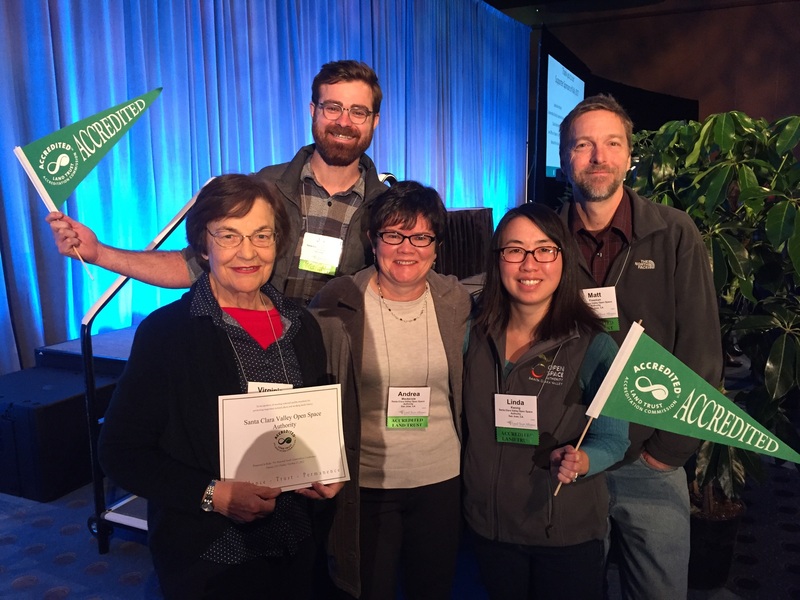 Last week, at a national meeting of conservationists in Denver, Colorado, the Open Space Authority was recognized for doing something no other public agency has before – becoming the first public agency in the nation to receive land trust accreditation. Accreditation is awarded by the Land Trust Accreditation Commission, an independent program of the Land Trust Alliance, a national land conservation organization working to “save the places people need and love” by strengthening land conservation efforts nationwide. In preparation for accreditation, the Authority ensured its conservation practices and processes met or exceeded best Standards and Practices set forth by the Land Trust Alliance, which includes thorough evaluation of conservation values for each property acquisition and regular monitoring of protected lands to make certain that those values are conserved forever. On October 11, the Open Space Authority hosted students from San Jose's Harker Academy at Coyote Valley Open Space Preserve. 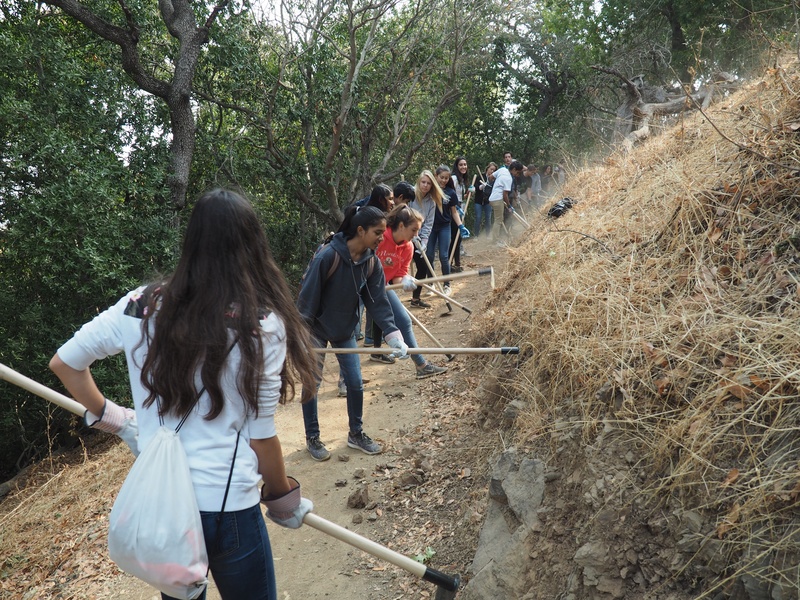 More than 200 high school freshman students and staff came out, making it the biggest volunteer Land Steward service day in Authority history. The Harker volunteers gathered to hear San Jose City Councilmember Chappie Jones speak about the importance of protecting the environment, and then worked on trail maintenance, removing non-native mustard plants along the Arrowhead Trail. The work the Harker group did at the preserve makes the trail more enjoyable for the more than 60,000 annual visitors, while improving the habitat for native plants and animals. In one day the students did work that would take Authority staff hundreds of hours! The school covered the event in their online newsletter, which also included an article written by a Harker journalism student. Follow up activities with the school will include a hike during the wildflower season and a conservation careers presentation. On October 29, a brand new way to experience nature opened in the heart of downtown San Jose. The Children's Discovery Museum launched Bill's Backyard: Bridge to Nature, a half acre outdoor play space that gives kids the chance to explore the outdoors by climbing, building, digging, and getting their hands dirty in a safe and authentic way. Research shows that outdoor play in nature fosters curiosity, creativity, and problem solving skills. 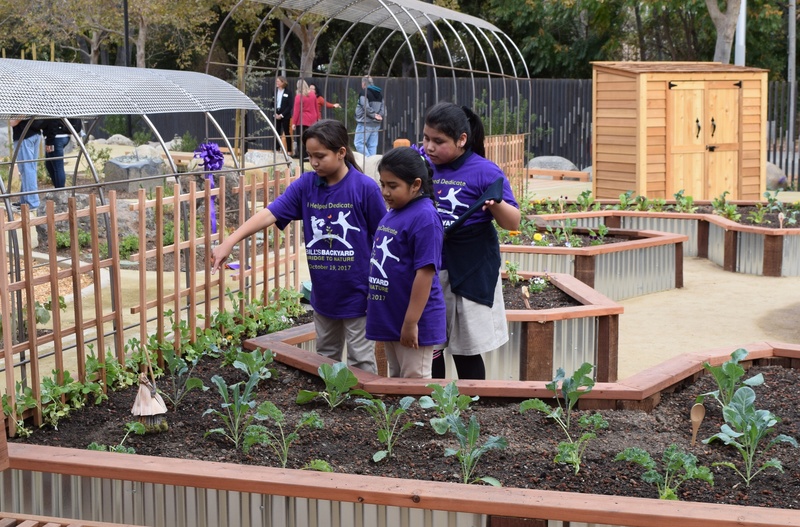 At the Bill's Backyard dedication, San Jose Mayor Sam Liccardo said, "for so many kids here in San Jose and cities around the country, there is a nature deficit disorder. This project enables kids to embrace nature and become better stewards of nature." The project was supported by a number of community partners, including being the first project to receive funds from the Authority's Measure Q Urban Open Space Grant program. This annual grant program provides funding for projects located in urban communities with limited access to nature and is currently accepting applications. "It was the idea of Bridge to Nature that really resonated with us," said Andrea Mackenzie, General Manager of the Authority. "Many families especially those in low-income neighborhoods don't have access to nature parks and open spaces. Bill's Backyard is that bridge for those families, breaking down barriers and opening doors for children to experience the joy of unstructured outdoor play and connecting families to nature." I can grow up to 40 feet tall. I create food for wildlife, such as woodpeckers and scrub jays and mammals including deer and squirrels. I’m used to living in places that burn so I’ve got natural protection that keeps me safe me from the heat. I can live anywhere along the coast from Mexico to Mendocino County, and I’m one of several similar species found in the Santa Clara Valley - you can spot me in all the Santa Clara Valley Open Space Authority preserves. Join the Open Space Authority and our friends at the Wildlife Education and Rehabilitation Center (WERC) for a free, kid- friendly educational event! Learn about local wildlife, like the baby bobcats who were recently rescued, and meet the dedicated people who work to bring animals back to health and return them to their home. Plus, get up close to some of the center’s resident birds of prey. 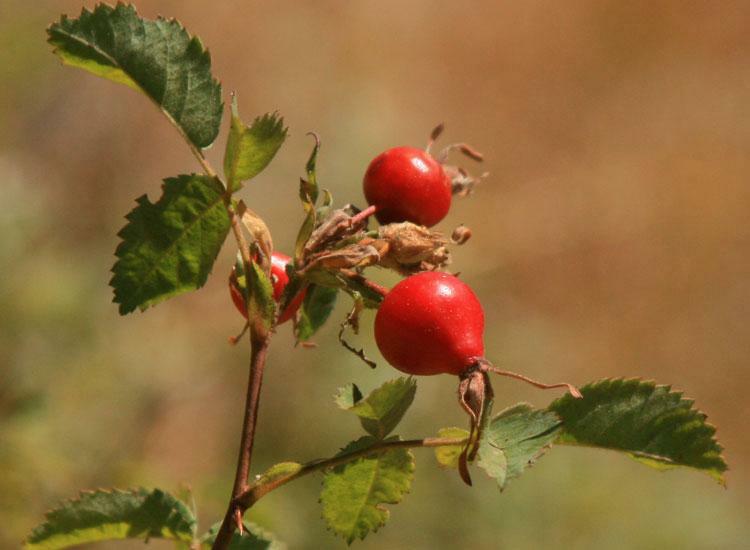 Join us for a beginner's plant walk along the Mayfair Ranch Trail at Rancho Cañada del Oro Open Space Preserve. We will walk through a variety of native habitats including grassland, oak woodland, and riparian. Expect to see fruiting plants such as toyon and bigberry manzanita. The trail's vista point offers spectacular views of the Diablo Range and Mount Hamiliton! Space is limited, so please register today. 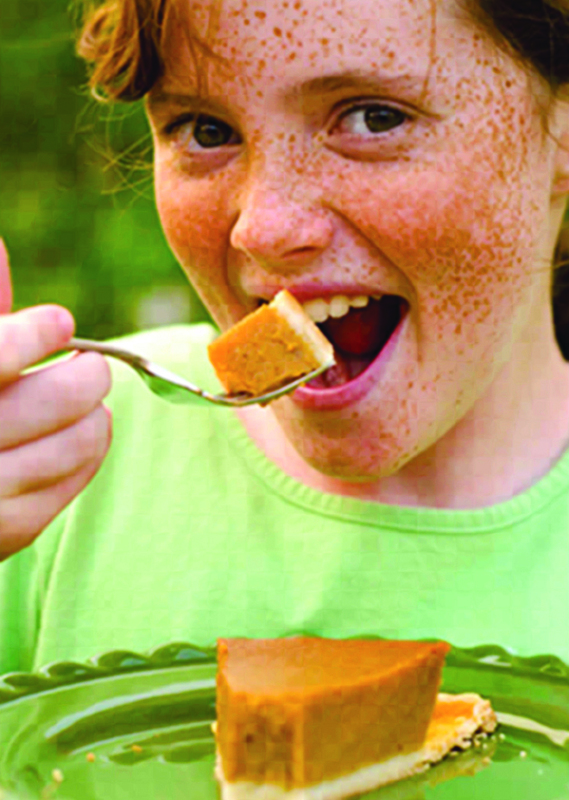 Feeling guilty for indulging in all your favorite holiday treats? Join our docents for a fun, 4-mile hike to burn off those extra calories while spending time with your family and taking in some awesome views. I am the Coast Live Oak. 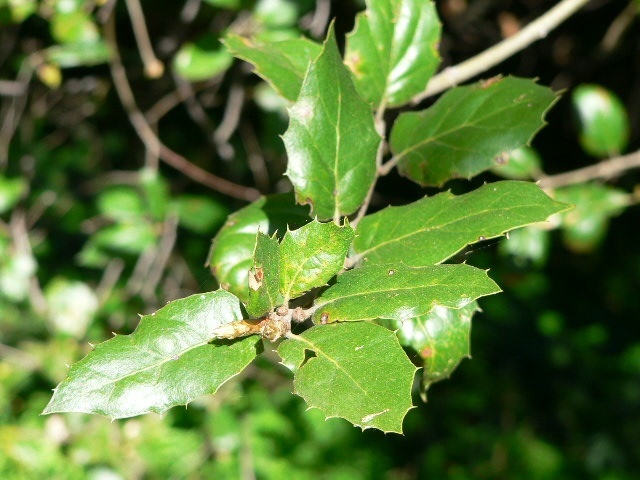 I’m one of several species of native oaks found in the Santa Clara Valley. 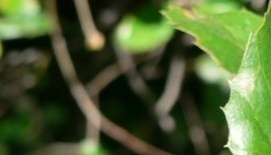 My curled leaves are a dark, waxy green, with small barbs; the flip side has gray or golden fuzz. My acorns — which are about 2 inches long and smooth — provide food for local wildlife, and my thick bark provides some protection from fires.